Backlit Flex Face – Indy Imaging Inc.
Backlit Flex Face signs are made from a flexible translucent vinyl material. They vividly illuminate colors at night while remaining rich and vibrant during the day. 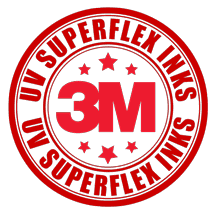 After printing UV Clear Coat is applied for additional protection against fading and abrasion. What to consider when ordering a Backlit Flex Face. . .
How is the customer going to use the Backlit Flex Face? What size is the retainer for the Backlit Flex Face? Are there any opaque areas in the Backlit Flex Face?